Hi guys! It's a rainy, kind of chilly day, but at least it's Friday! Can't wait to sleep in tomorrow...or at least not to have to make lunches and prep backpacks before 8 am. 1. I've been reading in the news a lot about Ebola and other tragedies that are going on. It's heartbreaking and scary. Then I was thinking about how silly it is that I posted about "how to keep your house from smelling like food." That seems kind of superficial and snotty that I'm worried about my house smelling like onions when there are lots of other people that are suffering right now. The more I've thought about it, I've decided that it's not that I don't care, it's that there are some things that you can't do anything about except pray, I guess. And sometimes you need a distraction from all the bad things things by posting about fluffy things like making your house smell good. I am thankful that I have food. And a house to make food in. And that my family is healthy. And that we live in a free, educated, wonderful country. I'm so blessed. 2. Now onto more unimportant fluffy talk. 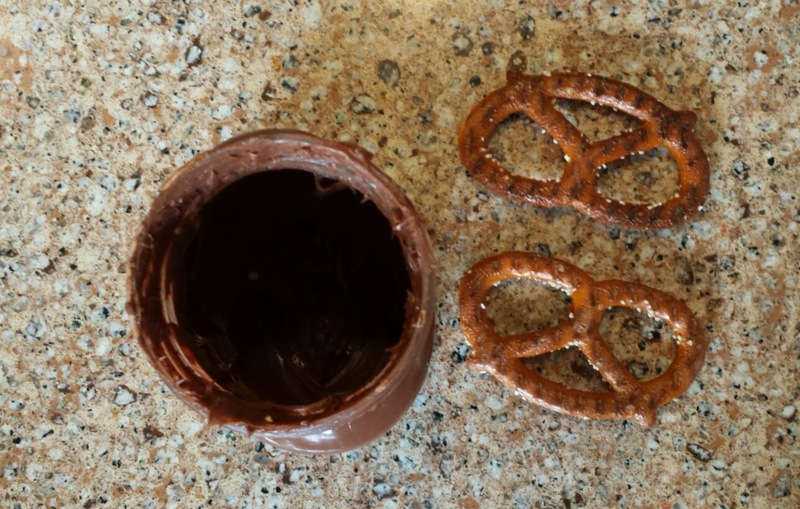 :) Is it too early to eat pretzels dipped in nutella for breakfast? Shoot...hope it's not. This morning was one of those crazy can't-find-my-library-book-I-don't-want-to-get-dressed-make-three-totally-different-lunches-fix-math-homework-late-for-the-bus-so-drive-to-school kind of mornings. Cartoons for my baby guy and a little nutella and pretzel treat for me and now we're ready to face the day. Good thing I got up early to go to the gym, right? 3. 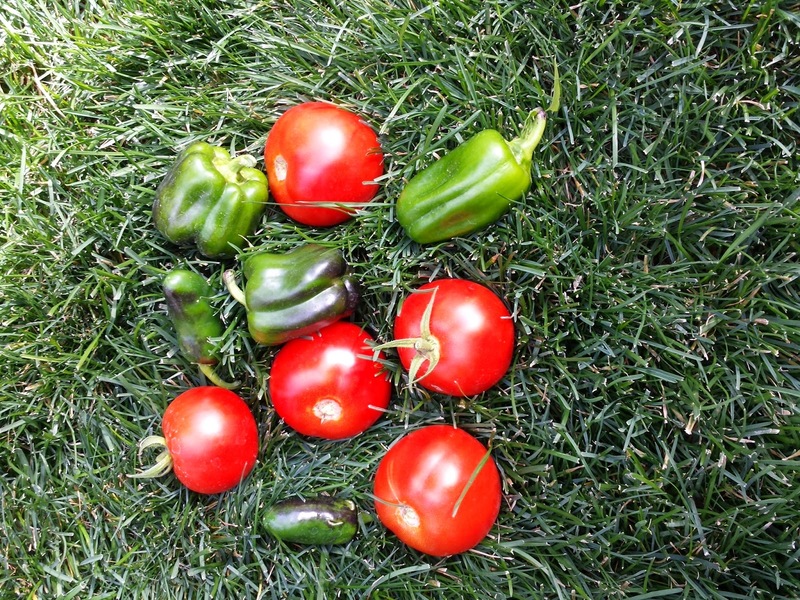 My garden is finally (now that it's October) producing some lovely red tomatoes. I'm pretty much the only one in my family that enjoys them, so I've been eating them for lunch and dinner. So sweet and yummy (better than nutella and pretzels...almost). 4. Can't wait for this weekend! The kids don't have school on Monday. Looking forward to that for sure! Maybe we'll head to Albuquerque tomorrow and hit the end of the balloon fiesta. Or maybe we'll go see Meet the Mormons in theater! If you are heading to the movies this weekend, you should go see it. I'm excited to see it, especially the stories about the candy bomber, the football coach and the fighter. All righty...guess I go make beds, clear up the breakfast dishes, do the laundry, etc. Have a fabulous Friday! Feel free to share what you're up to this weekend! 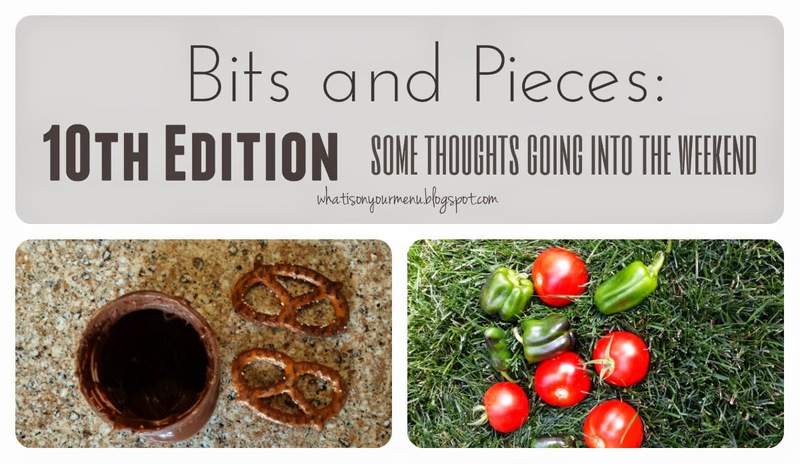 Check out my other bits and pieces posts here.